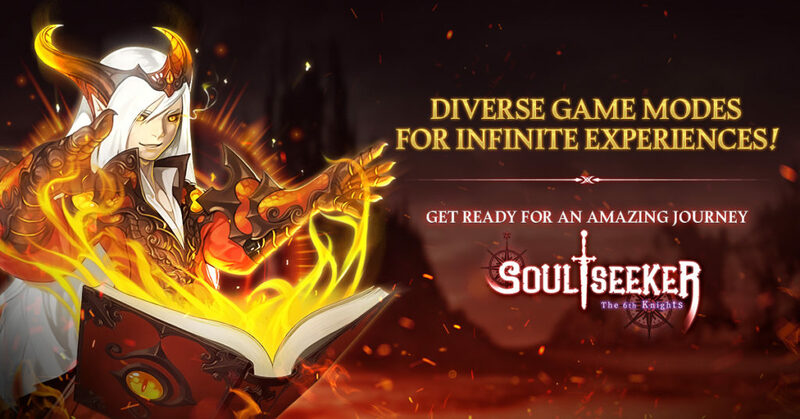 The original Soul Seeker came to mobile in 2015 and swiftly became a hit thanks to its gorgeous visuals and super-slick RPG gameplay. And now, after a three year wait, we’re happy to reveal that the game’s sequel, Soul Seeker: The 6th Knights, is tantalisingly close to a global release. If you played the original you’ll be familiar with the game’s compelling cast of characters. These heroes are all back for the sequel, while the gameplay has been completely overhauled to make it deeper and more strategically demanding. We’ll start with the story. The continent of Hermes has been virtually destroyed by a war between the five gods who created the world. From the wreckage have emerged the five orders of knights, who are locked in a race to obtain the five Soul Stones and rule the ashes of Hermes. Fortunately there’s a sixth order, called the Albion Knights, and that’s you. Your goal is to get to the Soul Stones first so that you can prevent the other, evil orders from destroying Hermes. Six is very much the magic number, as you take a party of six into each battle, made up of three mains and three supports. There are 150 different heroes to choose from, so there’s a huge amount of potential variety. Every hero has a number of different elemental attributes, including Air, Light, Darkness, Water, and Fire. These all work on each other in different ways, and you need to balance them effectively to help you see off attacks and overcome your enemies. It’s also possible to link two or three of your heroes, giving their powers a boost. 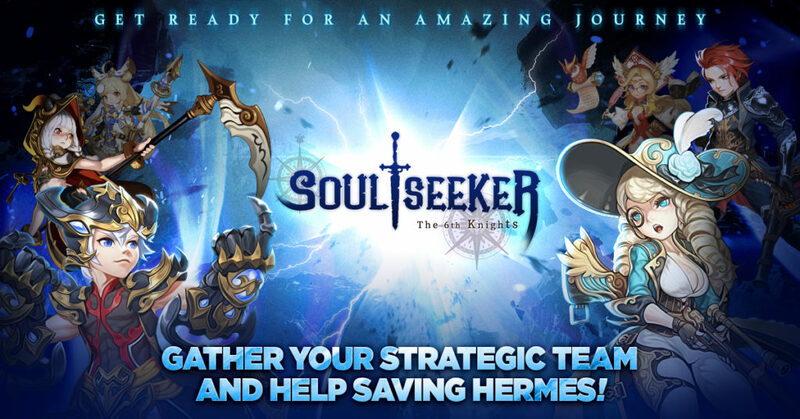 There are plenty of modes in Soul Seeker: The 6th Knights. For a start, there’s the absolutely massive single-player story, which sees you finding the Soul Stones and triumphing over evil. Then there are the numerous PvE modes, which see you battling in a range of dungeons and the like for different items and rewards. Finally, there’s a huge selection of PvP arenas in which to fight against human opponents. Gameplay improvements over Soul Seeker include a snazzy new touch and drag control system, and the ability to tag in support heroes during battle. 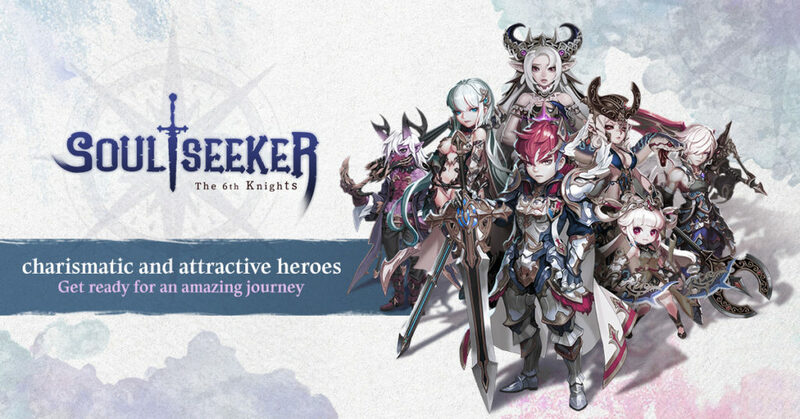 The global release of Soul Seeker: The 6th Knights won’t be happening till some time in November, but if you’re lucky enough to live in the Philippines you’ll be able to jump on the soft launch from the 17th of this month. You can stay updated by checking out the game’s Facebook page here too.